Season finale in Hockenheim: A highlight to finish? The second trip to Hockenheim marks the end of the 2018 DTM season. Marco Wittmann has some eventful months behind him, which will draw to a close with races 19 and 20. While the man from Franconia headed to the finale in Baden-Württemberg with a realistic chance of winning the title the past two years – with his dream of a second title coming true there in 2016 – this time his focus is on one thing: ending a mixed year on a positive note. The Franconian has already bagged five spots on the podium this season, including the win at his home event at the Norisring, which was as much celebrated as it was long-awaited. Without a doubt, this was Wittmann’s highlight of 2018. In contrast are race weekends like the one in Zandvoort or most recently in Spielberg, where Wittmann wasn’t quite able to keep up with the frontrunners in his BMW Driving Experience M4 DTM, which saw him lose important ground in the battle for his third championship title. Going into the final race weekend, he is in fourth place in the overall standings. If he is able to maintain this, he would, as in the past two years, occupy the top spot in the BMW internal driver ranking and at least end a mixed season on a high in this respect. 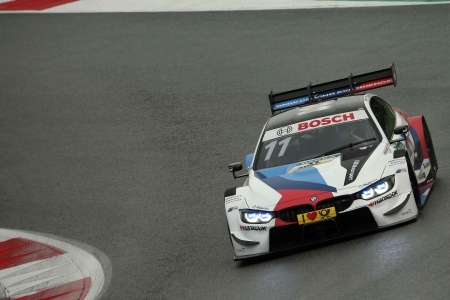 DTM TV partner SAT.1 will broadcast live, starting at 1:00 p.m. on Saturday and Sunday. Both of the races get underway at 1:30 p.m. The qualifying sessions on Saturday at 11:15 a.m. and on Sunday at 11:20 a.m., as well as all free practice sessions and both races will be broadcast via a live stream on the website www.dtm.com and in the official DTM app. (All times CEST).